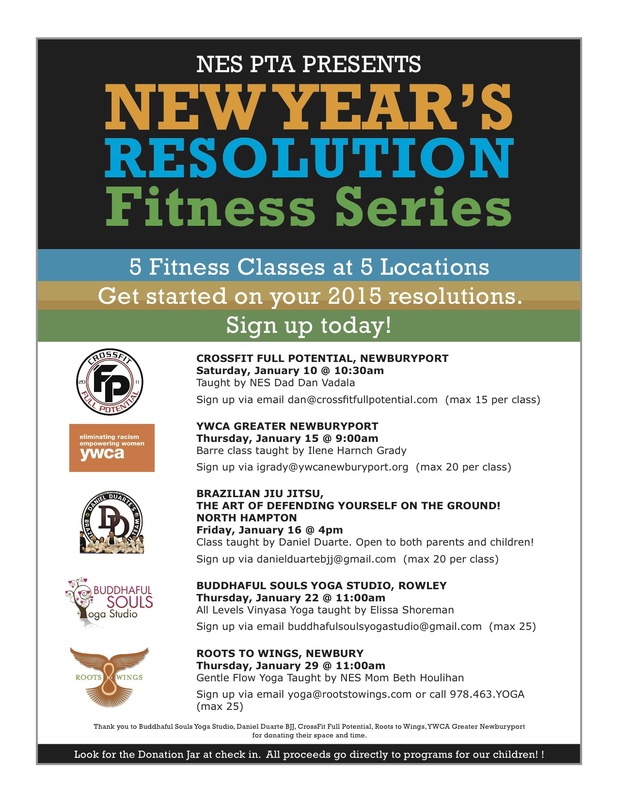 The PTA New Year’s Resolution Fitness Series allows you to try out some new activities while supporting the PTA! All classes are being donated by the facilities; we just ask that you make a donation to the PTA in lieu of a class fee. Look for the Donation Jar at check in! All proceeds go directly to programs for our children! Thank you to Buddhaful Souls Yoga Studio, Daniel Duarte BJJ, CrossFit Full Potential, Roots to Wings, YWCA Greater Newburyport for donating their space and time.